Offer is valid for a duration of four weeks from date printed on receipt with the promo code written on it after survey completion. The redemption of a discount code requires a purchase. Not valid on converse.com or orders placed via telephone. Offer cannot be combined with any other coupon and/or in-store promotion offer. PC/Notebook usability rating: 4/5. About 5 minutes to finish, no open questions, need receipt. Tablet usability rating: 4/5. No mobile page for Tablet. No open questions, no need to enter survey information. Smartphone usability rating: 2/5. No mobile page for smartphones. You can still finish Converse Customer Experience Survey via smartphone, it may take more than 5 minutes to finish. 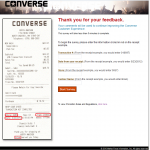 Select answers to questions such as "What was the dollar amount spent during this visit to Converse, from your receipt? ", "How satisfied were you with the merchandise assortment available?" Select answers to questions about the cashier such as "Did the cashier thank you or give a friendly closing statement?" Select answers to questions about the environment such as "How satisfied were you with the layout and design of the store?" Select answers to question about your general experience " How satisfied were you with your overall experience?" 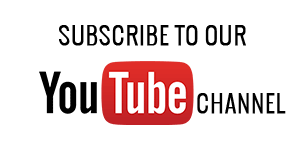 If you have any problem or difficulty to finish Converse online customer experience survey, refer to the following survey video recorded editorial team. You can also find those related questions and answers related to Converse customer survey in this article. Converse is Sneakers. And Converse is Change. We started on the court and got adopted on the street. We began as a rubber company, transitioned to sneakers and boots, and then we found basketball and reinvented the sport. The Converse Chuck Taylor All Star sneaker became the court sneaker; it stood for the game. From there we moved into other sports with new sneaker silhouettes like the Pro Leather, the Star Player, and the Weapon. The Star Chevron showed up and became another Converse symbol. And just when we seemed to be destined for athletes only – something happened. December 01, buy some tennis JP HELEN GREY OX - 529496C, but to get to Colombia I realized that both shoes are the same foot. I'm in Colombia and I want to know what I do to change them or give a solution to this. i love your shoes and collection. every year i buy one pair.